There are good historical reasons for these odd dates. Under the old ecclesiastical calendar, used since at least the Middle Ages, the New Year used to start on March 25. This was known as ‘Lady Day’, apparently in commemoration of the angel Gabriel’s announcement to the Virgin Mary that she would become the mother of Jesus Christ. Along with Midsummer on June 24, Michaelmas on September 29, and Christmas Day on December 25, Lady Day was one of the four most important days in the religious calendar. All accounts, including debts and rents, had to be settled by these so-called “quarter days”, and Lady Day was considered to be the first, gradually becoming regarded as the start of the financial year. As Lady Day, was regarded as the beginning of the legal year, it was quite natural for the tax year to start on the same date. The calendar in use at the time had been introduced by Julius Caesar in about 45 BCE and was known as the Julian calendar. In the 16th century Pope Gregory Xiii decided things should change as the Julian calendar had lost nine days since its introduction hundreds of years earlier. Most of Europe changed to the new, more accurate, Gregorian calendar in 1582. However the UK continued with the old calendar until September 1752 by which time the error had increased to 11 days. So 4 September 1752 was followed by 15 September and there were riots by people wanting their 11 days back. They also saw an income reduction as they weren’t compensated for the loss of income during the shorter than usual month. Given the disquiet the Government felt that they could not start the next tax year on 25th March as usual, as the already irate taxpayers would effectively be paying a full year’s tax on only 354 days income. The solution was to add the 11 days on at the end and move the start of the following tax year back to April 5th, so the 11 days revenue was retained. All was then fine for almost 50 years until the year 1800 which was not a leap year in the new Gregorian calendar. This caused another issue as 1800 would have been a leap year in the old Julian system. So another adjustment was required for one day and that year the Treasury moved the start of our tax year from April 5 to the April 6 where it has remained ever since! 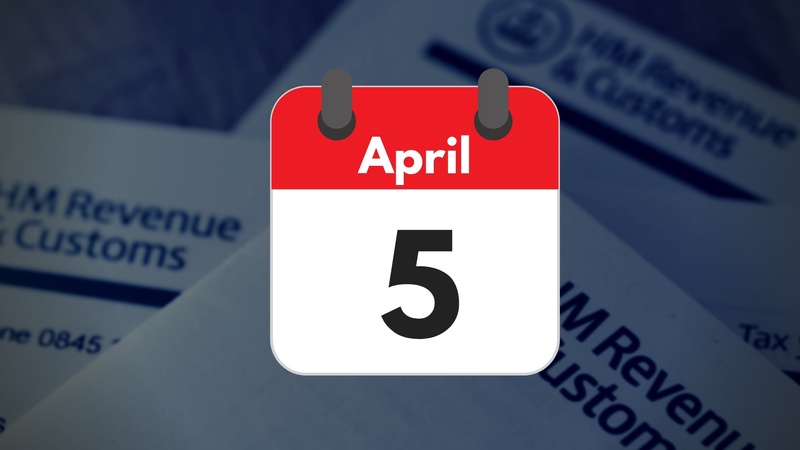 The next question is why the tax year hasn’t been moved back to end on 31 March which is used for all other fiscal purposes in the UK? We can only speculate that this may have something to do with the consequential permanent loss of 5 days worth tax to the Government in the year of change! Sara joined the Bookkeeping team at Sibbalds in December 2016 and has experience of working both with Sage and Quickbooks.